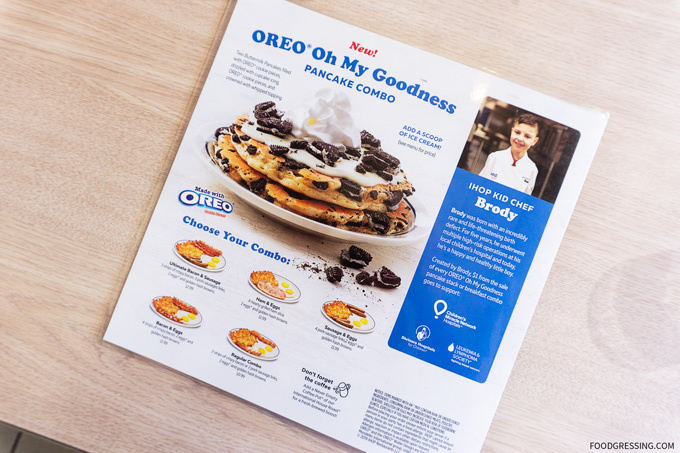 Until April 14, IHOP is offering a new dessert pancake stack, the Oreo My Goodness! Pancakes. 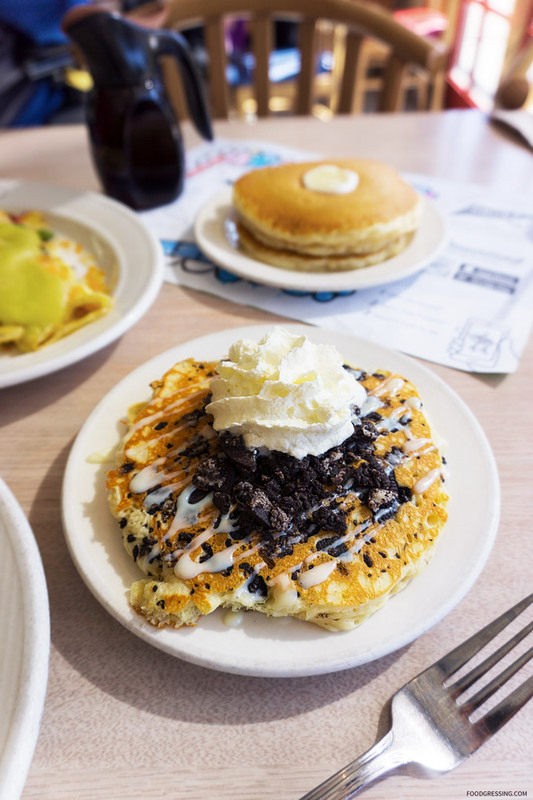 This creation features two buttermilk pancakes with OREO cookie pieces baked in and topped with vanilla icing and more cookie pieces and whipped topping. For every stack of Oreo Oh My Goodness! Pancakes sold, one dollar will be donated to Children’s Miracle Network. The dish was created by six-year-old Brody Simoncini, a Children’s Miracle Network hospital patient himself. 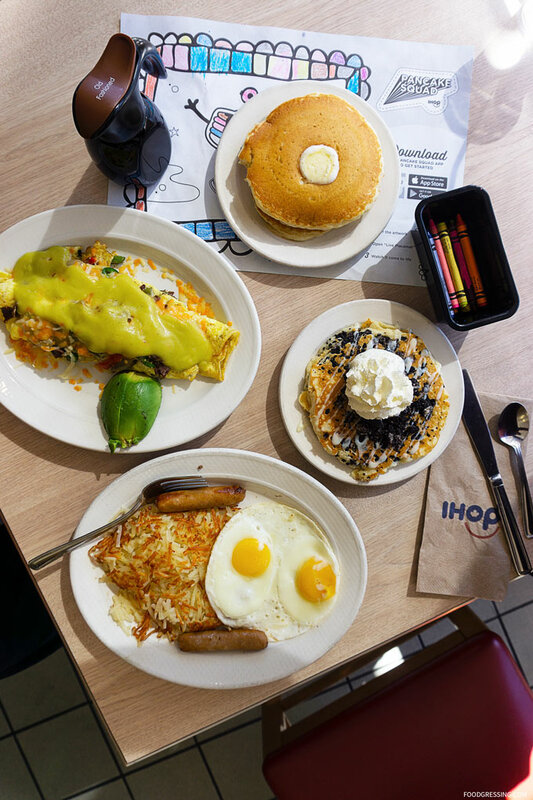 At the IHOP I went to in Burnaby, the Oreo pancakes can be ordered as a standalone (4 pancakes), side order (2 pancakes) or as part of breakfast combo. I went with the regular combo of 2 pork sausage links, 2 eggs and golden hasbrowns ($10.99) and thought it was a great value as the Oreo pancakes were no extra cost. I have tried some of IHOP’s dessert pancakes (New York Cheesecake and Belgian Dark Chocolate Mousse) and found them to be quite decadent. However, the Oreo pancakes were very good with an ample amount of Oreo cookie pieces within the pancakes and on top. The cupcake icing drizzle was not overwhelming. Overall, if you love Oreos, I think you will enjoy the Oreo pancakes at IHOP. They made a great dessert after enjoying savoury items and I would recommend them.